This is certainly an interesting concept - to take some of the best known classics from English literature - the words of William Shakspeare, and to turn them into songs by setting them to music. It's one of those ideas that could work brilliantly well, or be a total failure. As if setting the words to music wasnt a big enough challenge, the decision was taken to use only instruments that would have been around in Shakespeare's time. As you can imagine, finding suitable working instruments must be a pretty big challenge, as is finding people to play them, but Robert Hollingworth, director of vocal ensemble I Fagiolini (also a judge on the UK s Choir of the Year and involved in a number of films) has managed it and brought together a group of musicians able to play period instruments to make this album. Singers from around the UK make up the rest of the people brought in to make the project a reality. All the lyrics are Shakespeare's own and no additions made, although occasionally lines have been moved around to fit the contemporary song structures. The songs are all very well written and performed and could stand up as good songs even if you ignored the lyrics. They really do add a whole new dimension to the words of Shakespeare though. The songs range from pop to folk, to choral covering a wide spectrum but all sound very good. 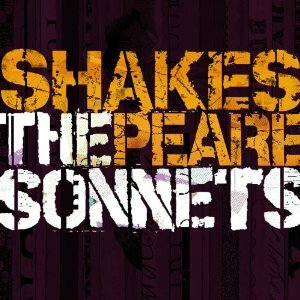 This album works really well, and perhaps it could be used as a way to introduce more people to Shakespeare as its a far more interesting way to hear the words than in a dull and dreary lesson at school. Definitely an album worth listening to. I really enjoyed it and I'm sure a lot of people will too.